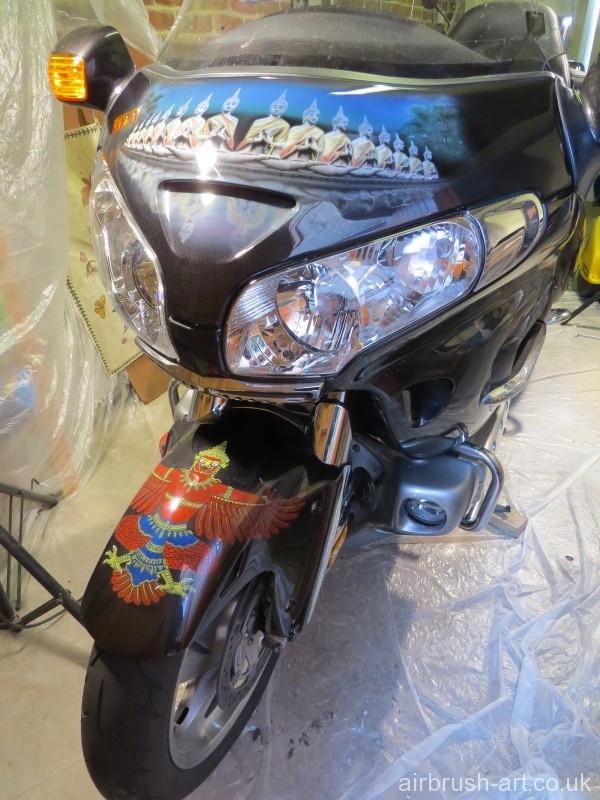 Front view of the custom painted Honda Goldwing by Airbrush artist Colin McKay. 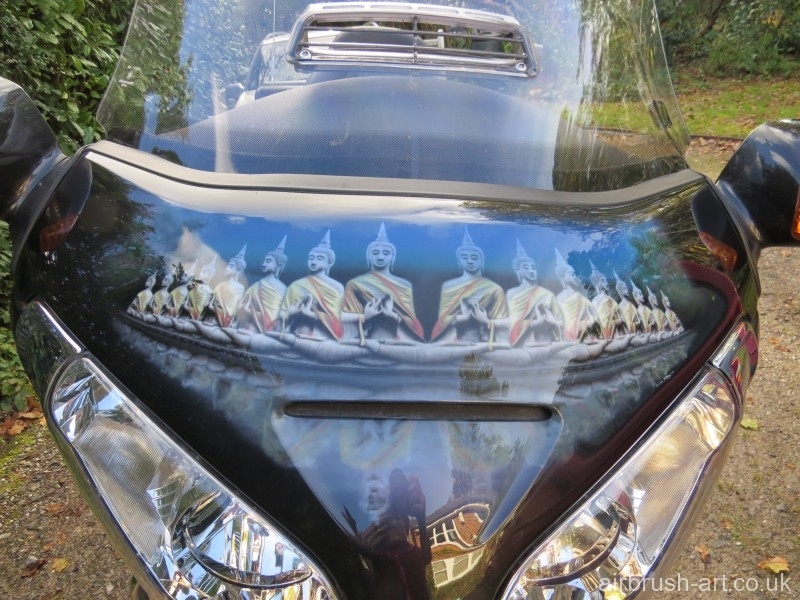 Thai Buddhas and their reflections adorn the front fairing of the airbrushed Goldwing. 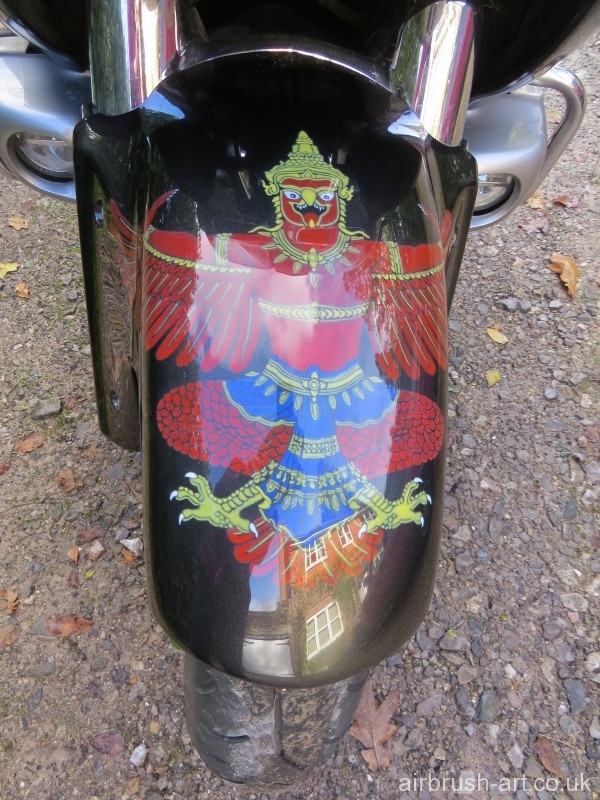 A detailed Thai eagle symbol on the front fender. 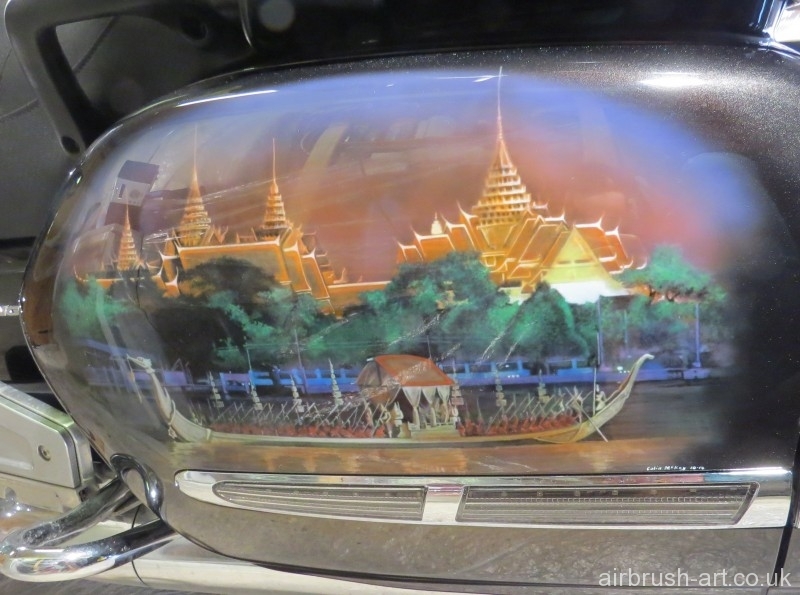 Side panel airbrush artwork of a Thai temple and river boat. 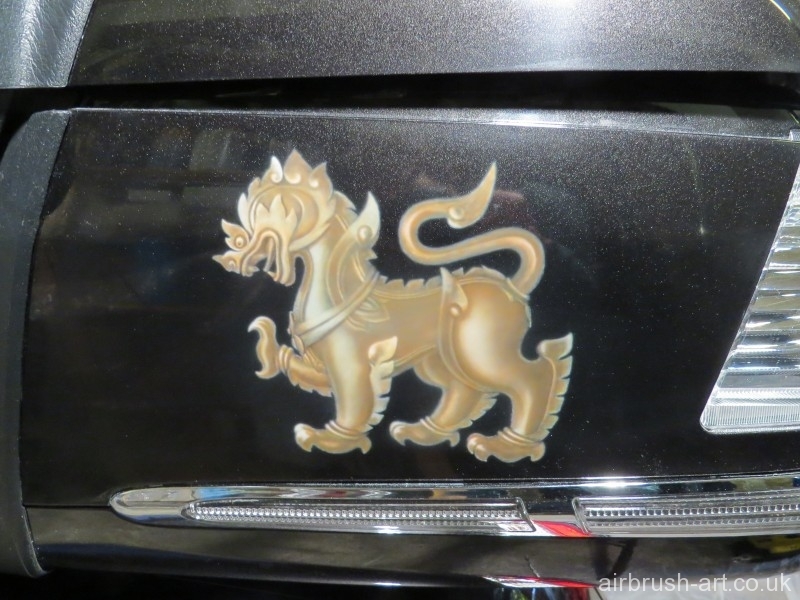 An airbrushed golden lion on the side of the Honda Goldwing. 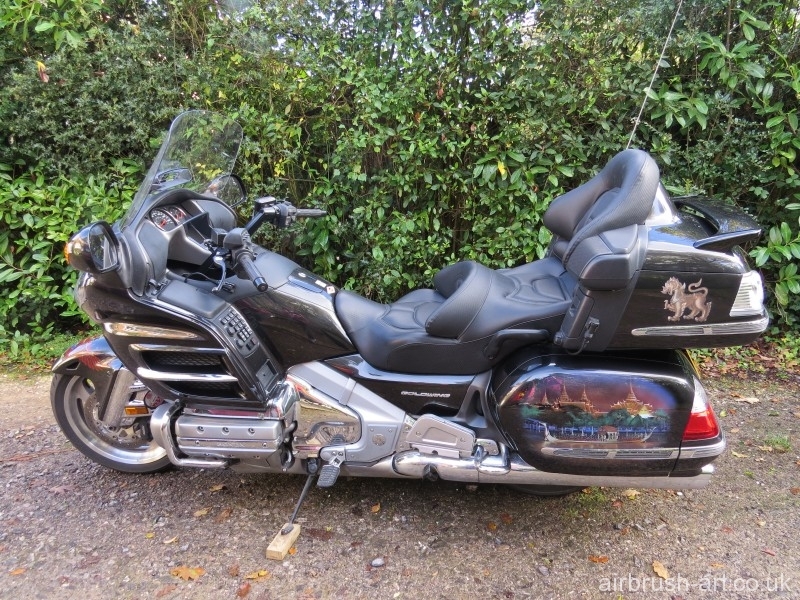 The complete paint job on the Goldwing.